Offering a superb and exciting range of hand-picked self-catering holiday properties from houses to apartments situated in St. Andrews, the East Neuk of Fife and surrounding areas. 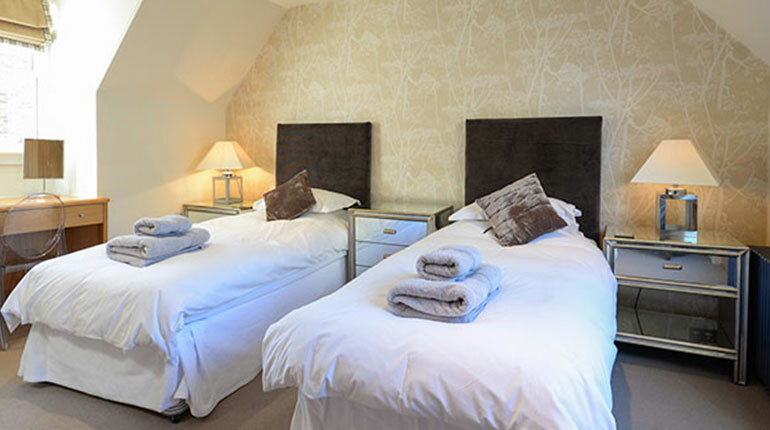 St Andrews Holiday Apartments is a locally based independent property letting business who take pride in giving individual detail and attention in finding and planning your perfect getaway. Our superb and exciting range of hand-picked self-catering holiday properties from houses to apartments situated in St. Andrews, the East Neuk of Fife and surrounding areas. With its wonderful beaches and colourful fishing villages, St Andrews and the East Neuk of Fife offers a fantastic range of facilities to suit every type of tourist. Today, St Andrews is recognised across the globe as the ‘Home Of Golf’. Whether you are looking to play the iconic Old Course or any of the other ten courses on offer, golfing in St Andrews is the ultimate ambition of many golfers. The medieval town of St Andrews offers a lot more than golf itself, with its historic buildings, university, colourful boutique shops, bars and restaurants, not to mention its magnificent award winning beaches, the town is a virtual treasure trove of attractions for tourists of all ages. Situated along the east coast from St Andrews, The East Neuk of Fife has some of the most picturesque towns and villages in Scotland and is a very popular tourist destination. Steeped in history this secluded part of fife offers stunning coastal walks, castles, museums, beautiful countryside and lots more besides. Whether you’re looking for a golfing break, a cosy romantic retreat, a fun filled family getaway, or something large, lavish and filled with luxury, you’ll find a fantastic selection of properties listed with St Andrews Holiday Apartments. St Andrews Holiday Apartments is owned and managed by a born and bred St. Andrean who knows and loves St Andrews and the East Neuk. We have over fifteen years of experience in letting holiday properties in the area and offer a comprehensive local knowledge to help you plan your perfect holiday, whether you are a family, golfing party or looking for a weekend break. Claremont Lodge is a stunning Visit Scotland, five star rated luxury self catering eco-house is set within an acre of its own land and within two miles of the historical town of St Andrews, with its numerous golf courses, coastal walks and award winning beaches. 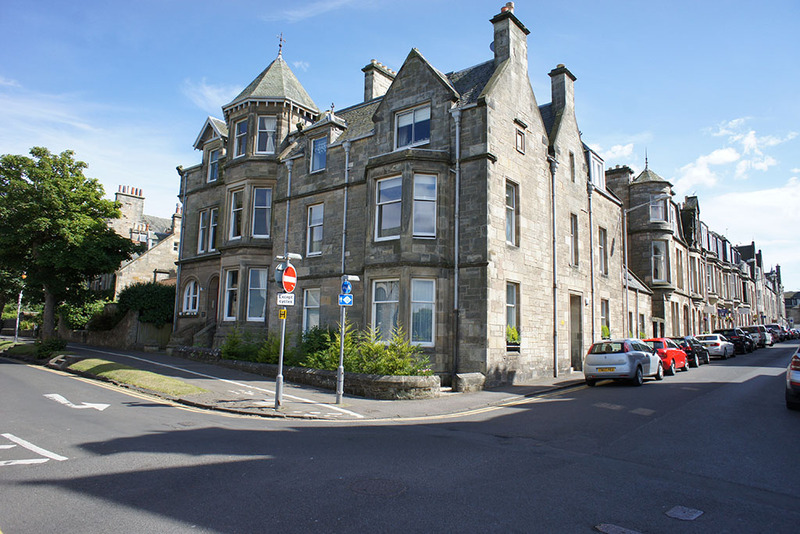 Situated in the heart of St Andrews with its numerous golf courses, university, wonderful beaches and coastal walks.This luxurious two bedroom apartment has a full Sky Sports package and free Wi-Fi. Perfect for couples, families and golfers alike. Luxury self catering accommodation situated in the historical town of St Andrews, close to the East Sands, harbour and within walking distance of the many golf courses and University . 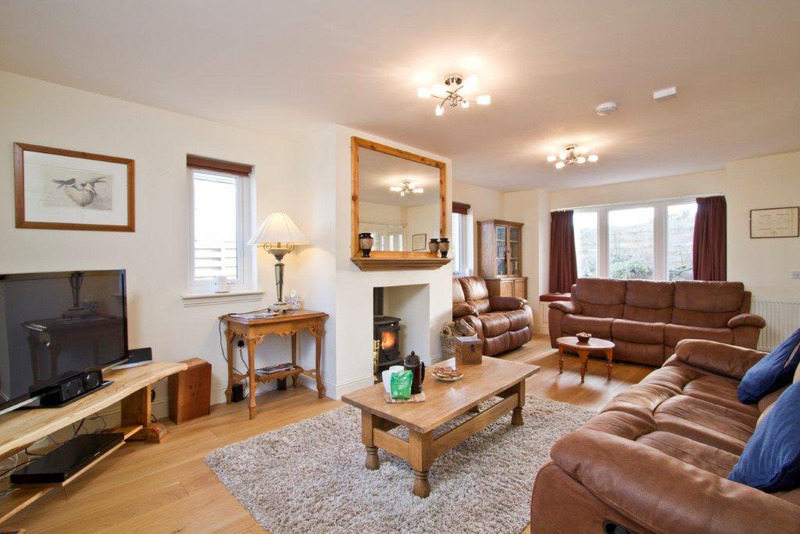 This property is perfect to explore St Andrews and Fife coast . This luxurious Visit Scotland Five Star rated apartment is just 200 yards from the Famous Old Course. It has unrivalled sea views from its lounge over the St Andrews links and west sands to the bay beyond. The apartment has been designed and furnished by an interior designer with no detail overlooked it has a bespoke kitchen, hand built golf lockers, stylish bathrooms with and luxurious bedrooms. 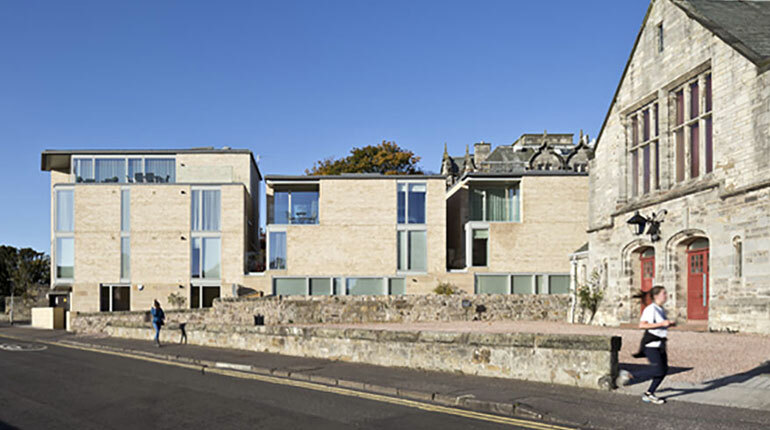 If you want to experience St Andrews in quality and style this property offers a unique opportunity. Situated just fifteen minutes away by car from the historic town of St. Andrews, Hamnavoe Cottage is set in an idyllic location on top of Lucklawhill with panoramic views over the beautiful Fife countryside. It is an ideal retreat for those seeking peace and tranquillity. 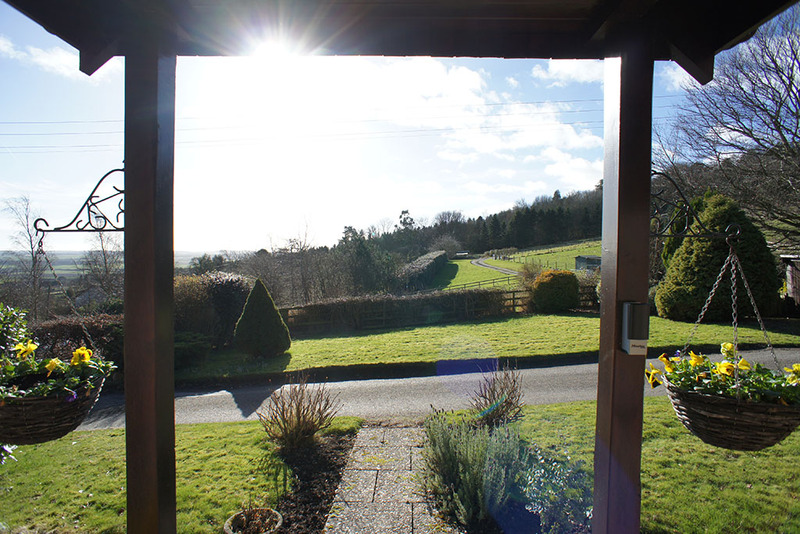 The cottage offers a great base to explore the Fife countryside and is a virtual treasure trove for nature lovers with hillside and woodland walks right on your doorstep, where you can spot a huge variety of birds and wildlife. Auld Lang Syne, winner of Best Family Home for Scotland 2013 (Herald Property Awards), is an immaculately presented, detached, self-catering holiday home in St Andrews. 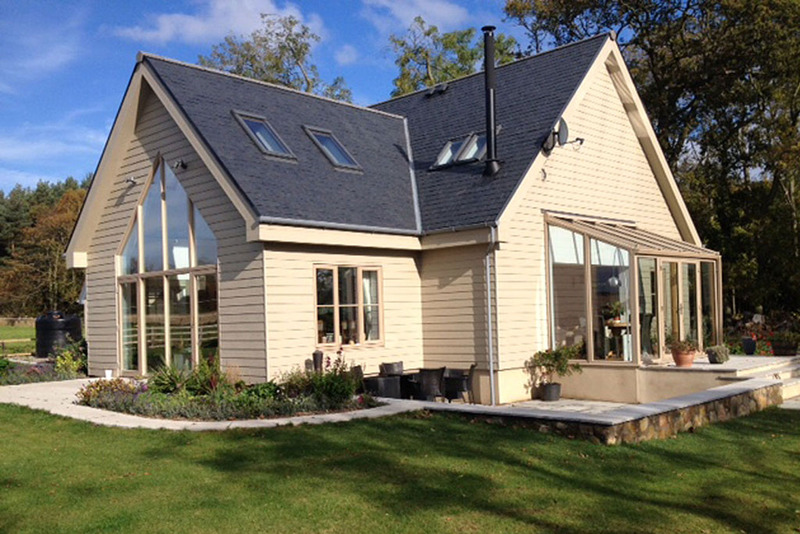 A member of our Green Award scheme for environmentally friendly holiday homes. It is ideal for golfing holidays and family holidays. The design and setting provide the opportunity to relax and enjoy the local area. 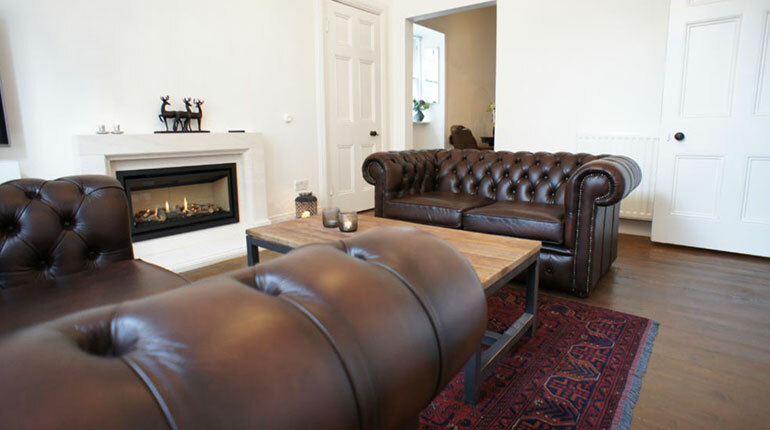 Accommodating up to 10 members of your friends and family it is ideal for short breaks and longer holidays. if you’ve looked at this apartment .., don’t think twice, don’t keep surfing … just book it. An amazing location, finished to an exceptional standard in a truly special part of the world. We stayed for the first time this New Year and will definitely be back. Walks on the beach, strolls in to town and the old course on your doorstep what’s not to like. If it had been golfing season I don’t think we’d have ever left. So – top class, look no further. Lovely house in a great, quiet location. Easy walking distance to town. Excellent accommodation! Stylish, spacious, comfortable and a place to relax. I would recommend St Andrews Holiday Apartments to anyone looking for a great base to explore the surrounding area. Beautiful house in a beautiful village. The house is decorated with exceptional taste and nice, durable, timeless pieces. Was perfect for 6 adults. Convenient for St Andrews,Dundee and exploring the unique Fife coastal harbours. Many historic Country Houses, excellent beaches and well known golf courses are within a one hour drive. The cottage occupies a peaceful elevated location and is a convenient base for those that enjoy walking. The accommodation is clean/well decorated and comprises a Lounge with TV and Dining Table.The Kitchen is well fitted with necessary Appliances and a breakfast table. The Bathroom is again well fitted out with a shower and separate bath. The two bedrooms(Double and Twin). There is also a car parking space.GREAT COTTAGE in a GREAT LOCATION. We spent a wonderful few days at The Dormie. Everything was perfect, the apartment was clean, warm, comfortable, well-equipped & well-located in the centre of town. Steven couldn’t have been more helpful with all our enquiries. We enjoyed wonderful weather, golf & the Northern Lights too. It was good to find somewhere so central that allowed dogs. A great apartment & we will definitely return. Lovely apartment, tastefully decorated, spotlessly clean and comfortable. Great location with free parking outside apartment. 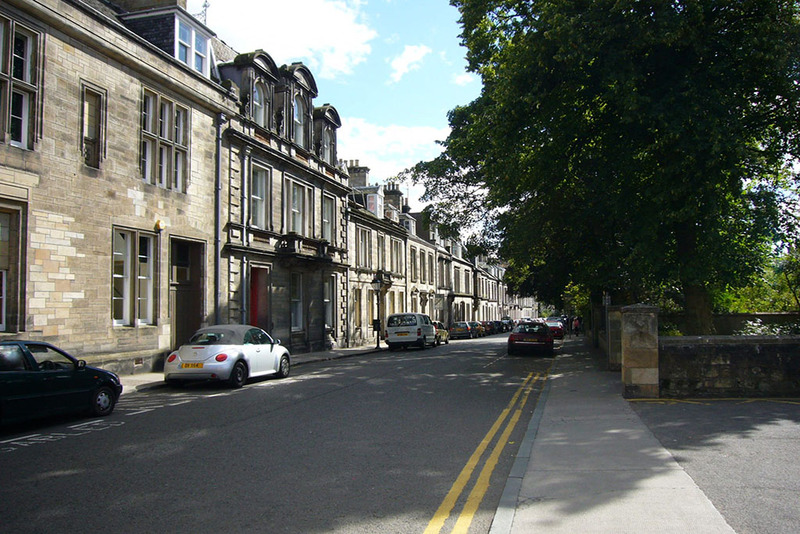 Within easy walking distance to centre of St. Andrews, with it’s many shops, bars, cafes and restaurants. Coast and sites all within walking distance. Would highly recommend it. Would rebook and highly recommend this property. Well furnished, with beautiful and spacious kitchen and patio area. Terrific shower and bath. Handy to town, and plenty of off street parking. We stayed here for a week in October whilst on a golfing break. There was 8 of us and it was ideal, and would certainly look to book again when we return. What immediately surprised us was just how close it was not only to the centre of town, where there are loads of places to eat and drink, but just how close it was to the centre of the golfing world! St Andrews Holiday Apartments were friendly and easy to deal with, even being met at the property by Steven from St Andrews Holiday Apartments – It juts set the tone for what turned out to be an amazing break! Thanks for everything! Fabulous 2nd story flat in the centre of city. Compact, cozy, very comfortable and well appointed with all you would ever need for your stay. Information/maps/books provided on local area and events were valuable and truly appreciated! Car parking was never an issue; parked for free on North Street. I would highly recommend this accommodation to others and would not hesitate to return myself. Thanks to the host! 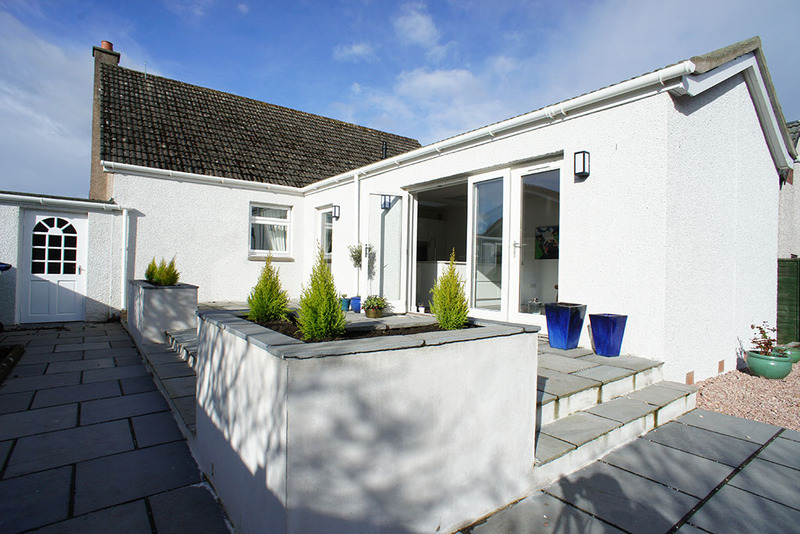 Bell Rock Cottage is 5 minutes drive to St. Andrews City Center. It is in a great location with a beautiful view of the ocean and golf course right behind the back door. It is well equipped, comfortable and clean for anyone including families with pets. We loved our stay and Steven was the best host who was very responsive and helpful. It is very close to Fairmont Hotel and golf courses and one can also use the spa at Fairmont for only 10 pounds! A great experience and stay – highly recommend it. We have just returned from Sandyhill Cottage after a long weekend both playing and watching the Golf. Hotel prices for 4 golfers requiring single rooms were eye watering so we opted for this well located cottage minutes from the town centre and all the wonderful restaurants and bars. The cottage was perfect for our stay not 5 star but everything worked good tv, good shower good kitchen (although we did use the facilities at The Castle Course and New Cours) and there is a small convenience store one minute up the road for all our needs. Well worth considering. We really enjoyed our stay. The property has everything you can imagine to make your self catering stay as easy as possible. Perfect for a family visiting the university or a group of golfers playing the numerous courses nearby. We will definitely stay again on visit to St Andrews.